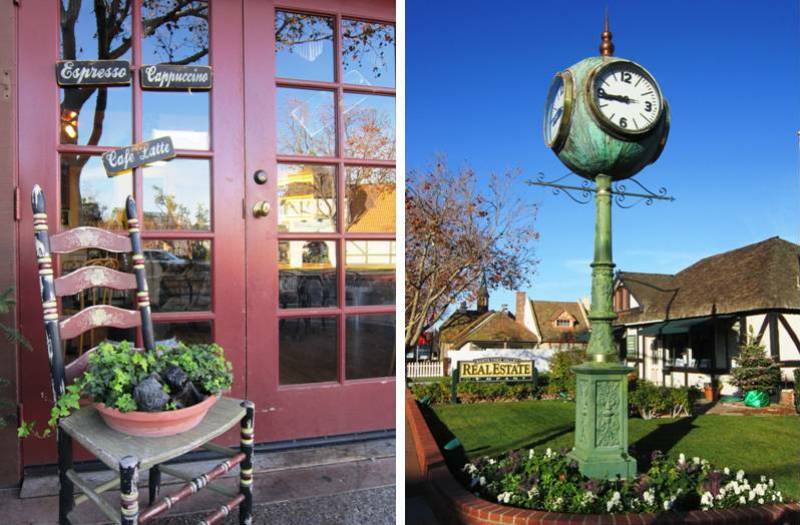 Ambra Meda goes to Solvang, California in search of the perfect Danish breakfast. I arrive in Solvang, California, in the middle of the night. The only things I know about the city are that it’s a Danish colony founded in 1911 and that I have to try a Danish breakfast. Seven hours later, I leave my room for a run, looking forward to seeing a place where they make Aebelskivers. I’ve been told it’s a must if you’re here. A traditional dish in between a pancake and a doughnut, shaped as a ball and served with raspberry jam. The research is anything but boring. The village, with its Scandinavian style facades and buildings, brings me back to the early 1900 Denmark. My first stop is Paula’s Pancake House. “A coffee shop specialized in pancakes will obviously have what I’m looking for”, I suppose. The line waiting outdoor reinforces my belief. I join the queue. Twenty minutes later, when I finally achieve a table, I realize they don’t serve Aebelskivers. Sad. To make the time spent in line less wasted, I order their Egg Breakfast. It’s banal. I could have had it at home. I get out and keep on searching, walking along windmills and Scandinavian flair cottages. Mortensen’s Danish Bakery happens to be on my way. The pastry display is massive. The variety of sweets endless. 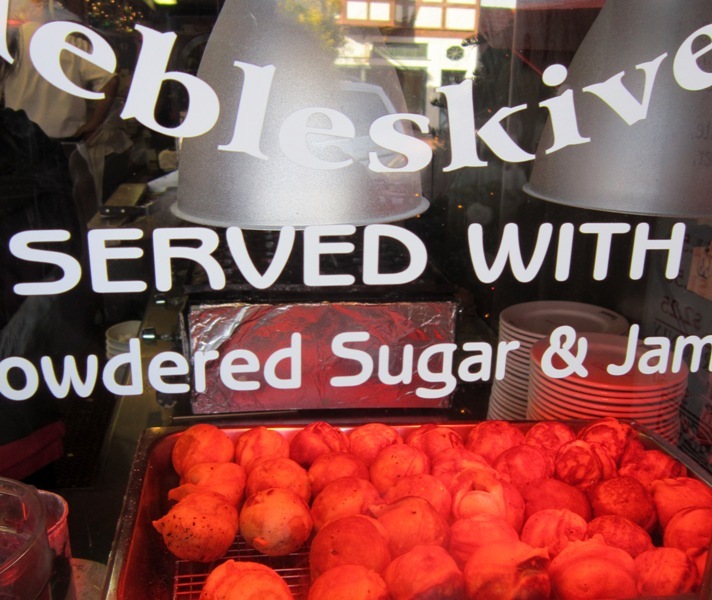 They seem to have every possible kind of treats… except the Aebelskivers! Depressing. After that salty meal, I need to sweeten my mouth. The Cream Cheese Danishes just taken out of the oven are really inviting. “One of those, please”. Not as exciting as my unpronounceable crispy balls, but at least it will be an authentic Danish. If not here, where? For the second time, I am wrong. The filling is cloyingly fat, the flaky dough too buttery, the white frosting on the top pointlessly sugary. After a couple bites I abandon it. Walking out of the bakery, I decide to give up and head for home. On both sides of the street multicolored signs advertise souvenirs and typical products. I look at them inattentively. My eyes are captured by a young couple on a marble bench, drooped over a paper bag. I peek in. The Aebelskivers!! “Where did you get them?” “Right over there”. 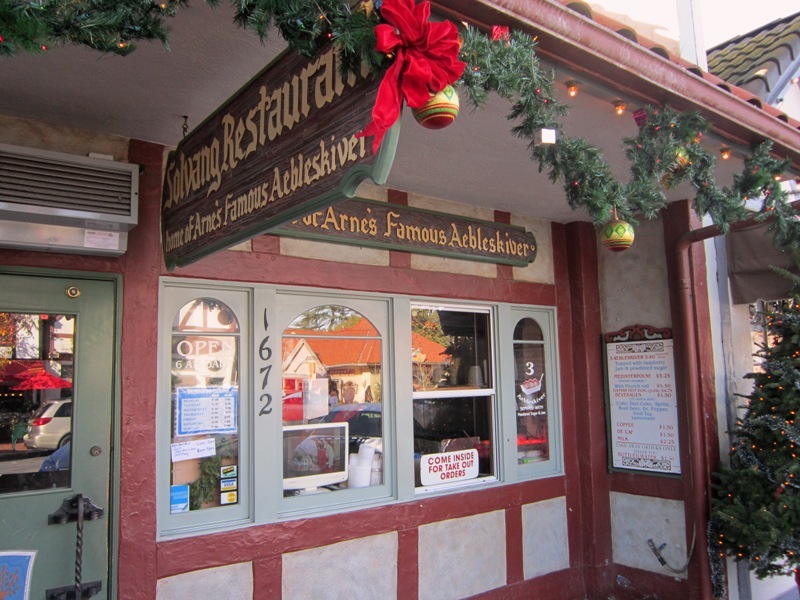 They point out a big iron sign: “The Solvang Restaurant. Home of the Arne’s famous Aebelskivers“. From the glass I stare at the cook dusting warm pancake balls with powdered sugar. When two customers get out of the cafe, from the open door, a delightful smell inebriates me. Two minutes later, I sit on that same marble bench with my own paper bag. The pastries, light and fluffy, melt in my mouth. The raspberry jam softens their sweetness with its sharpness. I eat two of them and save the last one for later. With all the efforts I made to find them, I have to savor them slowly.